LG has always been a bit of an oddball when it comes to smartphone design. Sometimes its designs are too wacky for the mainstream, others they’re too boring. Even the G6, which uses the oh-so-common metal frame and glass back look, was somewhat reserved compared to the competition. 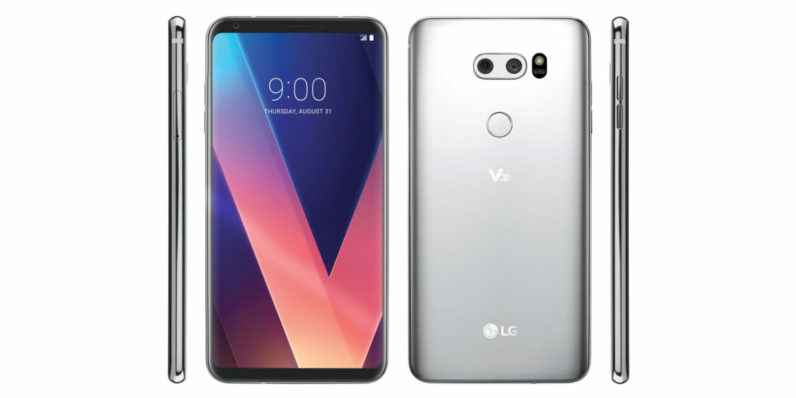 But the V30 actually looks pretty gorgeous. Ever-reliable leaker Evan Blass shared the clearest look at the device we’ve seen yet, showing it from virtually all sides. It looks like the G6 and S8 had a baby, but LG seems to actually have slightly smaller bezels, and the rounded camera looks better than the squircles on the S8 and imminent Note 8. Have you seen the lineup for TNW2019? At this point both leaks and LG have seemingly revealed almost everything important about the phone. We know it will have 6-inch OLED display, QHD resolution, a Snapdragon 835, 4/6GB of RAM, 3200 mAh battery and 64/128 GB of storage. It will likely come with a high quality DAC. We know LG is doing away with the secondary panel and replacing it with a floating toolbar. And we know it will have an F1.6 aperture on at least one of its cameras – the widest aperture value on a smartphone to date. We’ll have to see how it holds up to the imminent Note 8 – they have nearly identical basic specs – but it’s looking to be LG’s best shot at the mainstream yet. Let’s hope the software holds up. Mind you, I personally miss LG’s wackier design sensibilities. The V10’s ruggedized design or the G Flex’s bendable screen stood out from the crowd, and I liked having a removable back. I hope the company brings back some of its old adventurousness somewhere down the line, but as far as mainstream appeal, the V30 is shaping up quite nicely. Read next: Bitcoin surges to record high $4,500 -- but is the bubble about to burst? Stay tuned with our weekly recap of what’s hot & cool by our CEO Boris. Sit back and let the hottest tech news come to you by the magic of electronic mail. Prefer to get the news as it happens? Follow us on social media. Got two minutes to spare? We'd love to know a bit more about our readers. All data collected in the survey is anonymous.